"We loved having Gary as part of this inaugural Forum, he's a fantastic speaker and I know our full audience benefited from his insights." A finance industry legend who led one of the largest investment banking enterprises in the world, GARY COHN illuminates what's ahead for the global economy and markets. Named as President Trump's chief economic advisor in January 2017, Cohn was heralded as "an economic-policy powerhouse" (The Wall Street Journal) and a "go-to figure on matters related to jobs, business and growth" (The New York Times). Thanks to his shrewd analysis and engaging style, Cohn has been sought-out to speak everywhere from the World Economic Forum to the Global Financial Leadership Conference. He recently headlined both the NIC Fall Conference and Bloomberg's New Economy Forum, and is set to deliver keynotes at the 2019 Context Summit. Recently, Cohn made headlines in Bloomberg and MarketWatch, with the news that he's been named to the board of directors of MZ, a global market leader in mobile gaming. He also joined blockchain startup Spring Labs as an adviser, and was recently interviewed on CBS This Morning on the one-year anniversary of the passage of the Tax Cuts & Jobs Act, which Cohn was instrumental in pushing through Congress. With unparalleled insights into the inner workings of the current administration and its economic policy-thinking, Cohn translates uncertainty into tangible takeaways. Internationally respected economist and financier MOHAMED EL-ERIAN is a go-to voice on the global economy, regularly in-demand by major outlets including Bloomberg Markets, CNBC, Fox Business, and more, for his expertise and frank insights. Recently on the front page of Financial Times thanks to his shrewd insights on market volatility and the global sell-off, and sought-out for BBC's HARDtalk on whether there are dark days ahead for the global economy, El-Erian appears on TV on a near daily basis, decoding everything from Fed rates to rising tariffs. Regularly receiving rave reviews for his dynamic, informative presentations and openness with audience-members, El-Erian is in-demand to deliver keynotes worldwide at the upcoming 2019 Context Summit, the prestigious Global Financial Markets Forum, the 72nd CFA Institute Annual Conference, and MBA’s National Secondary Market Conference and Expo. "Larry was great and delivered exactly what we wanted from him. He is a professional and he comes across very authoritative and thoughtful." Renowned global economist and regular columnist for the Financial Times, LARRY SUMMERS brings an insider's look to the issues that drive markets and global policy. His tenure at the U.S. Treasury coincided with the longest period of sustained economic growth in U.S. history, and during the Obama Administration, Summers emerged as a key economic decision-maker who worked directly in crafting policy solutions to respond to the economic crisis. 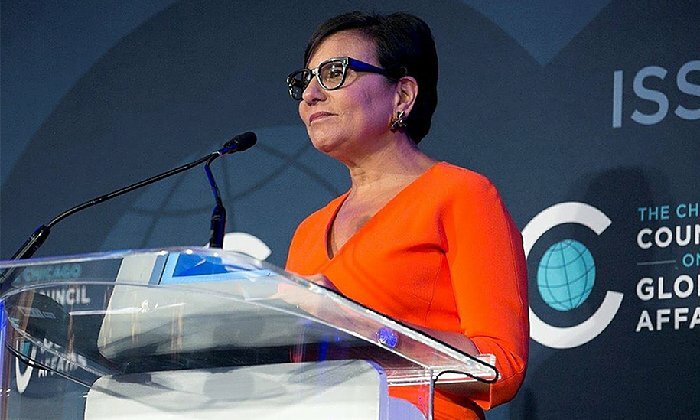 Summers was recently sought-out for interviews on CNN's Amanpour Bloomberg, and CNBC on the risks of a recession in the near-future, making headlines in Fortune. 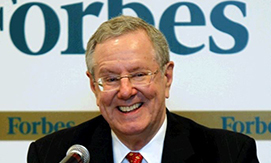 He was also selected for a 45-minute, in-depth conversation at the Brooking's Institute/ Miller Center's recent event, Ten Years Later: Lessons from the 2008-09 Financial Crisis, delivering remarkable insights into how well-prepared we are today to handle inevitable future crises. "It was a huge success! We received such great feedback on his remarks, interview and the panel! One of the best we’ve had. He is just the nicest man!" Having served as the most senior economic official in the U.S. government, in the wake of the recession JACK LEW shaped policies that drove the longest economic recovery in American history. Sought-out to deliver a keynote for fund managers and investors at the upcoming Annual Conference on the Globalization of Investment Funds, Lew also recently addressed an audience of 500 global CEOs and senior officials at the Arab Strategy Forum, during which he was sought-out for a Bloomberg interview, on the state of the world economy. Lew offers frank and useful analysis, with keen insight into geopolitical factors and market trends. He recently made headlines in CNBC for the announcement that he would be leading fintech start-up Blend's advisory board and published an influential article in Foreign Affairs on "The Use and Misuse of Economic Statecraft." "He did a great job ... many people have commented to me about how useful they found his talk on Tuesday. He covered a very broad subject matter but did it in a very candid and entertaining fashion." "We could not have had a better speaker... His experience, sense of humor and easy going manner made him an instant hit with our audience. He was gracious in every regard. 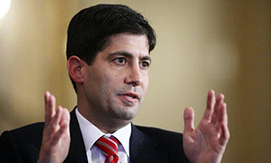 In addition, his vast knowledge of the subject matter was evident from every comment he made..."
"Kevin Warsh hit a grand slam with our clients last night. He is a terrific speaker." "Ed was terrific! Informed, entertaining, challenging, interesting .. 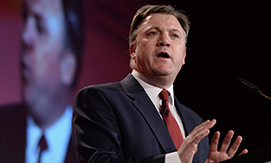 He is a brilliant speaker, and we hope to engage him in the future." 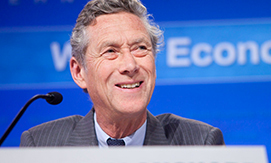 "Olivier Blanchard’s tenure at the IMF capped a lifelong effort to restore economics as a disciplined way of thinking about the world that is truthful, intuitive and useful." "The event was great success. 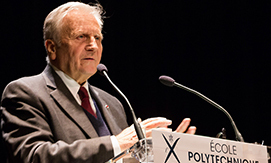 We are all so grateful to have had Mr. Trichet in our International Seminar..."
"Sec. Pritzker was a hit... members were very impressed with her experience and knowledge. We would be delighted to work with her again in the future." With global markets in flux, these HWA Speakers provide near- and long-term analysis on what should be on the radar of businesses across industries.